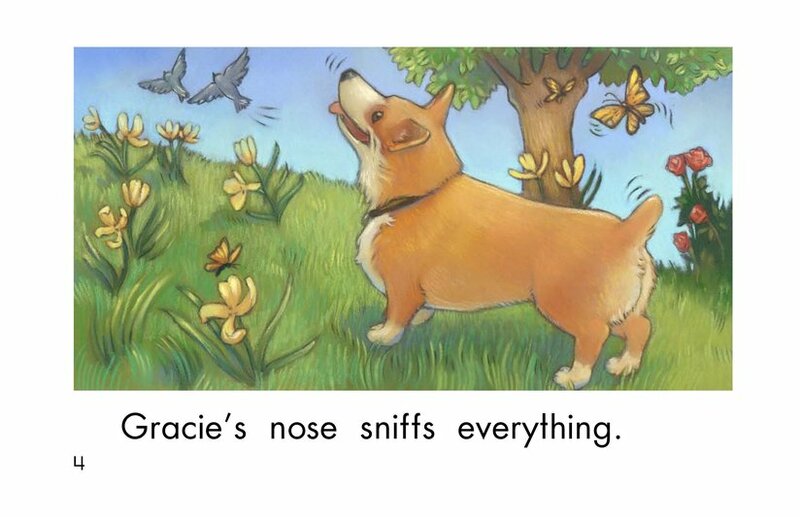 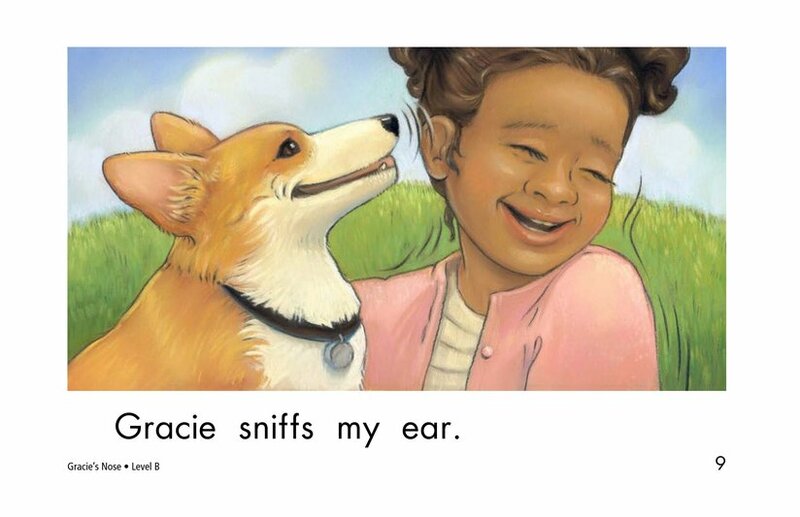 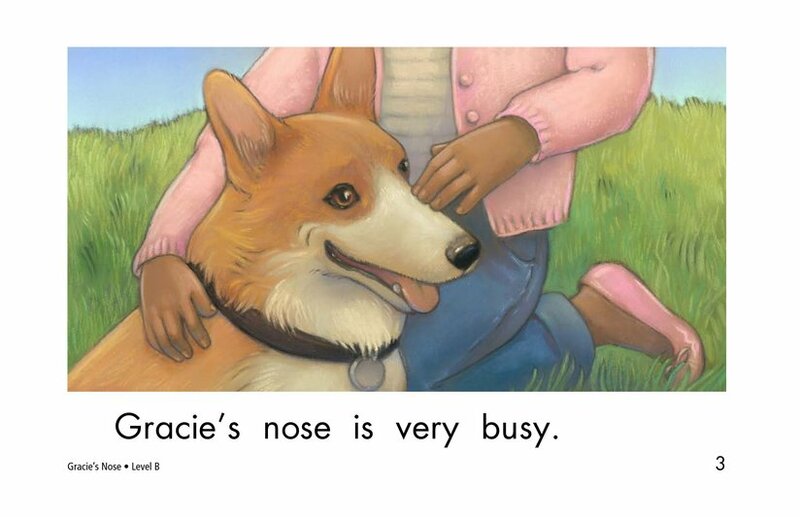 Gracie is a curious dog, and she uses her nose to explore the world. 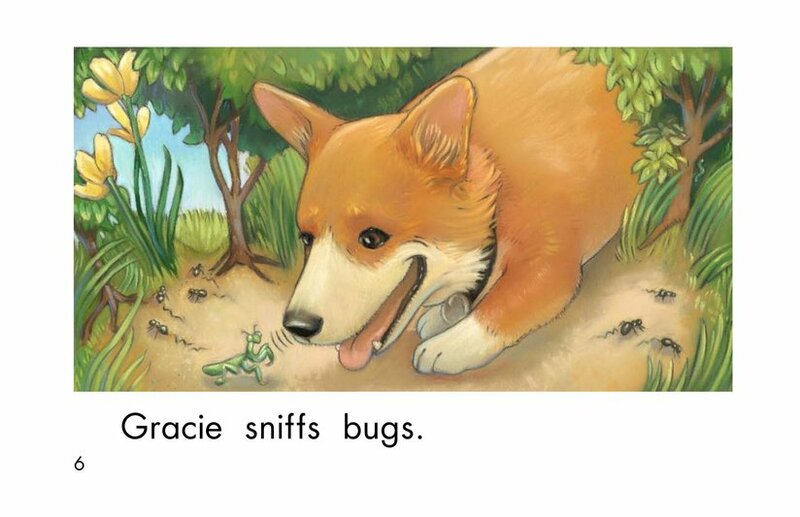 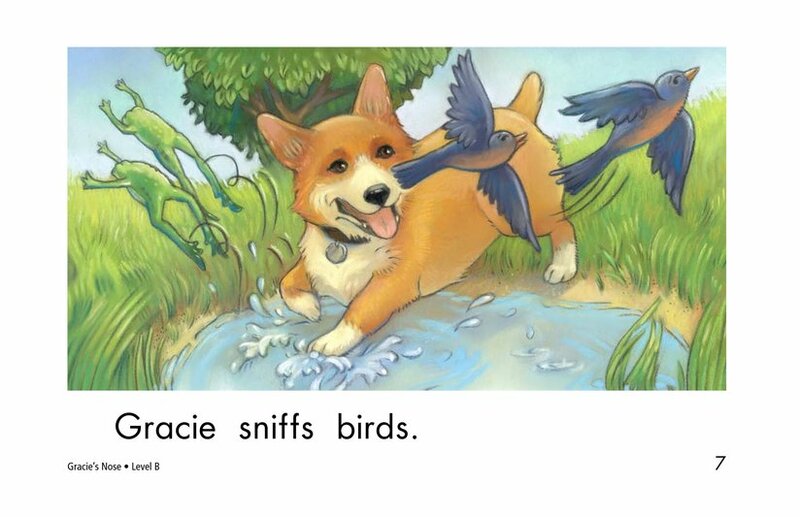 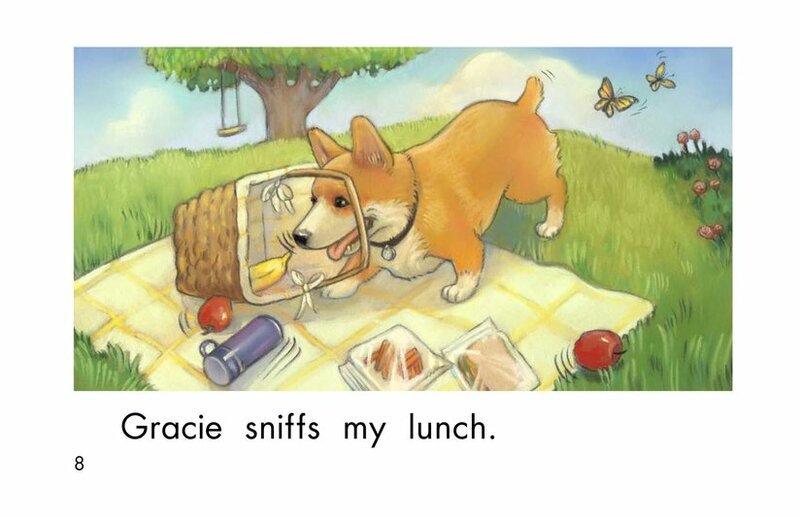 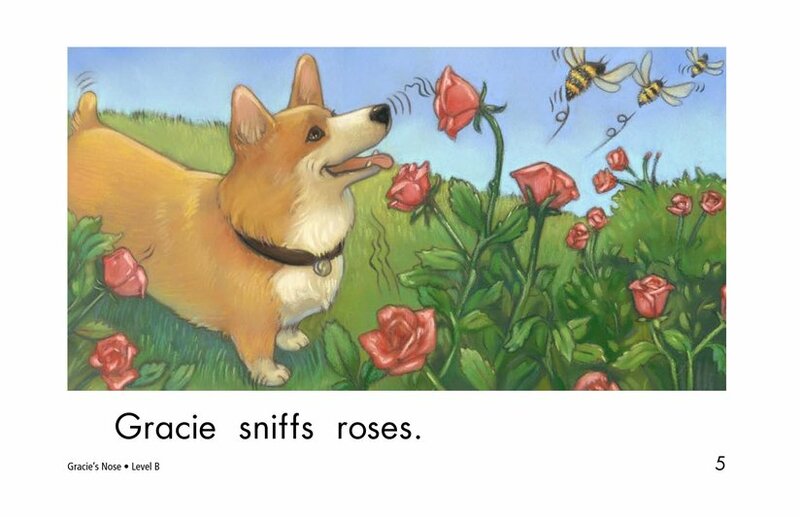 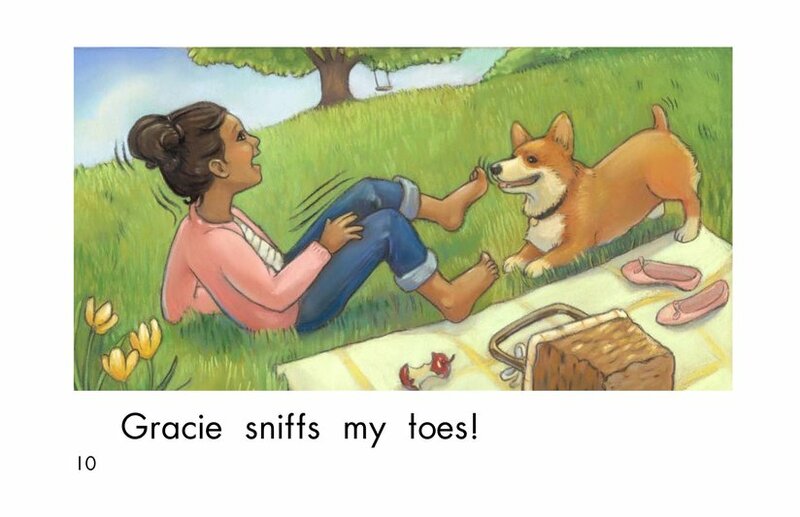 Come with her as she sniffs a variety of objects on a sunny day. 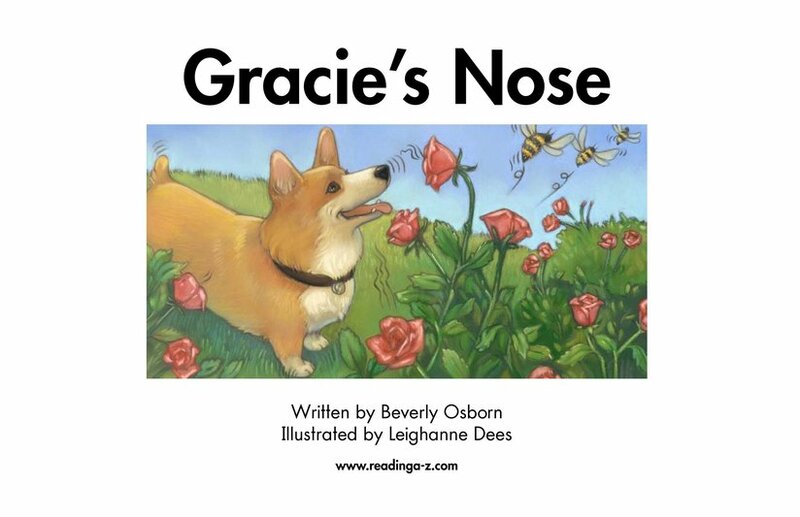 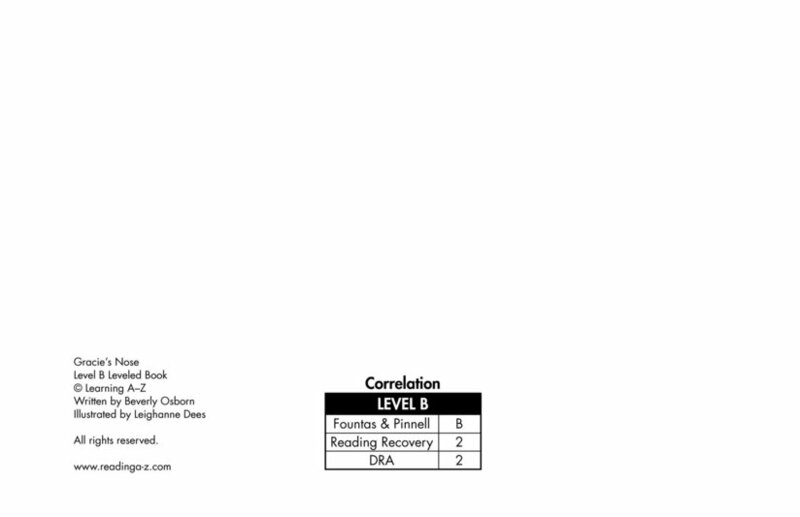 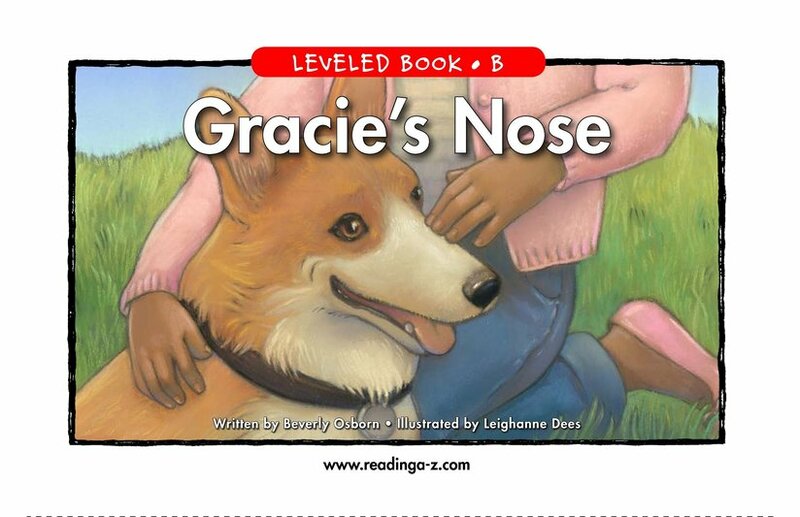 The adorable story line, along with a repetitive sentence structure and attractive pictures, makes this a great choice for early emergent readers.